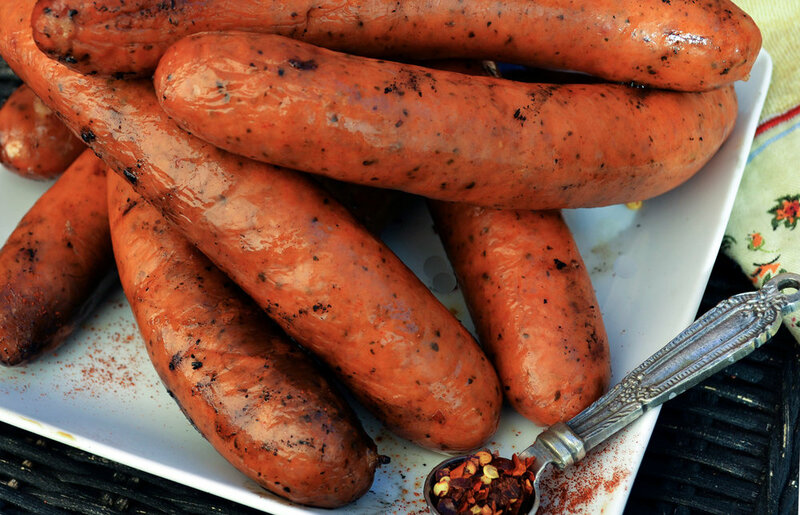 Portuguese Linguica - This smoked pork sausage packs a spicy punch with notes of crushed red pepper and paprika. A hint of ginger adds an unexpected twist to this traditional Portuguese favorite. Our featured recipe this month is the Toulouse Garlic Sauce. View all of our recipes and find inspiration to create unique and unforgettable breakfasts, lunches, and dinners with our signature sausages. We sell 1lb packs of Sausage at our Venice location as well as our North Hollywood Office location. If ordering from the North Hollywood office, please call ahead at (818) 760-2004 to schedule a pick up. Enter your email address below to receive our monthly newsletter with updates on new information, seasonal specials, discounts, and recipe inspiration. WELCOME TO THE SAUSAGE KINGDOM! EXPECT NEWS & DISCOUNT SPECIALS SOON!